Create an infographic, slide show or video about your county's efforts using Stepping Up graphics. Post a photo of your county's Stepping Up team on social media with the hashtag #StepUp4MentalHealth. Create or promote your county's Stepping Up website. Share a blog post on your county’s Stepping Up website to highlight the impact you're having on people in your community. Encourage neighboring counties that haven't joined Stepping Up to become part of the national movement using this letter template. We want to know what activities and programs your county has planned! 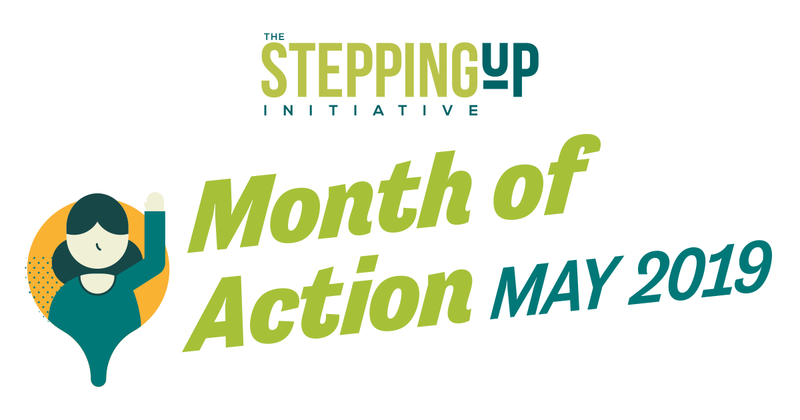 If you’d like Stepping Up to showcase your county’s Month of Action activities, we encourage you to submit a short summary of any activities or events and links to any related media and social media posts. Submissions are due Tuesday, May 28. Please send all submissions and any questions to info@StepUpTogether.org. Note: When posting on Twitter, make sure to include the hashtag #StepUp4Mentalhealth and tag your state association of counties. Space permitting, tag Stepping Up partners @NACoTweets, @CSGJC and @PsychFoundation to share your county’s story with a national audience. [Provide details on your Month of Action activities and how people can participate]. [YOUR COUNTY] is committed to #StepUp4MentalHealth for people with mental illness in our community. Learn more abotu Stepping Up and the Month of Action at www.StepUpTogether.org. Note: When posting on Facebook, make sure to include the hashtag #StepUp4Mentalhealth, tag your state association of counties, as well as @NACoDC, @CSGJusticeCenter and @APAFdn to share your county’s story with a national audience.